Thanks to Sheng Tai Toys Pte Ltd, Me, kodomut and Dennis were invited for the private preview. 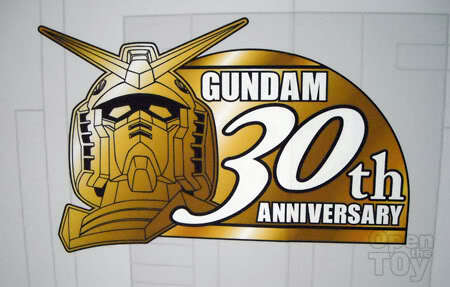 Yes the 30th Anniversaries of Gundam! A word of warning: The following content will be pretty picture intensive. 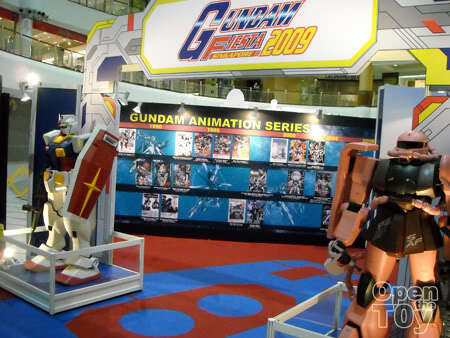 At the entrance of the event area stood a giant Gundam on the left and Zaku on the right. has an autograph on it. Anyone can guess who wrote this autograph? 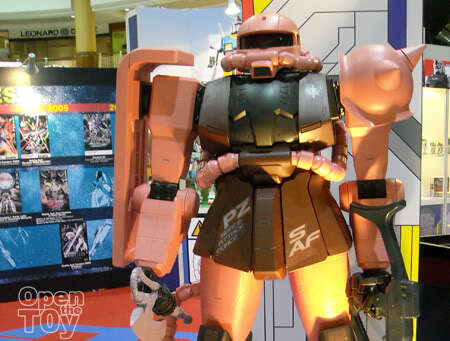 Hey don't missed out Zaku too! Does this look Pink to you? 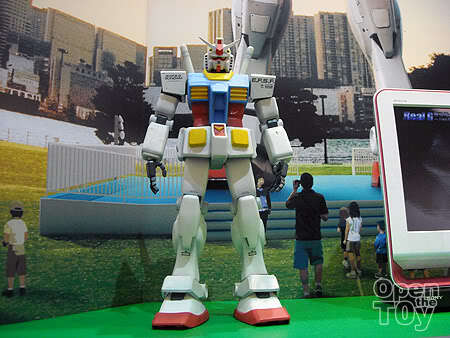 Here's a replicate of the Giant Gundam for the 30th Anniversaries in Japan which is 18 metres high and weighed 35 tonnes at Shiokaze Park in Tokyo's Odaiba. 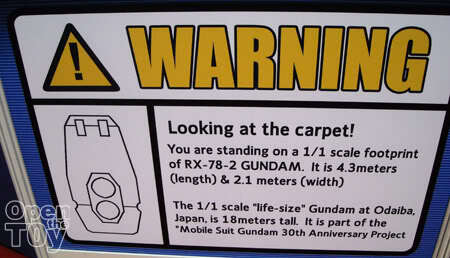 Below the RX-78 Gundam model stood the following sign. 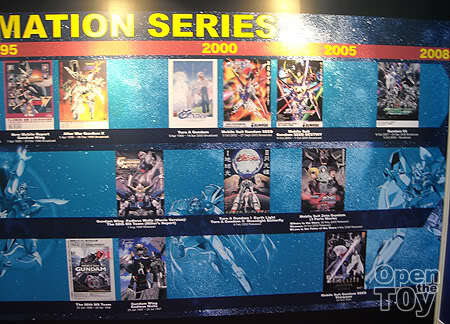 Turn to the right stood a row of Perfect Grade Gundam. 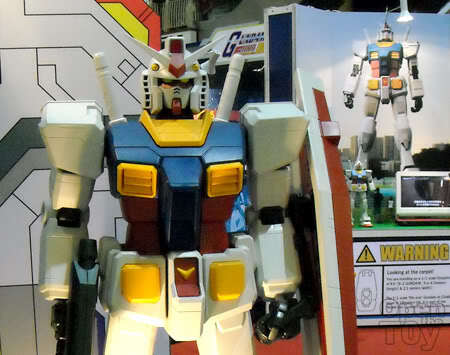 One of them that interest me is this figure which does not have any resembance of Gundam head. 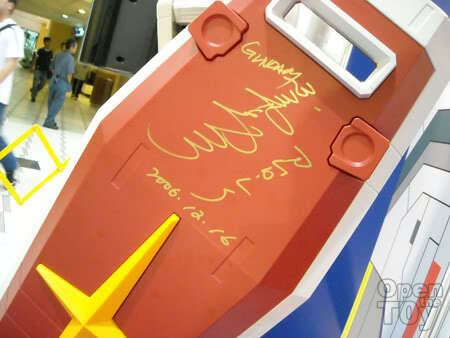 The following picture has the clue... VGundam? 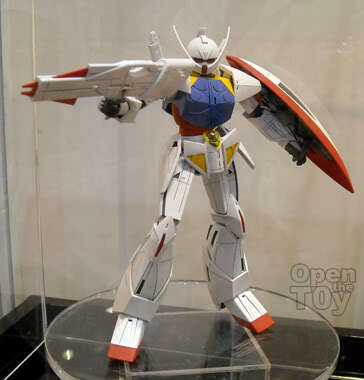 Gundam V?? Here's one of a interest things I love about the Event. 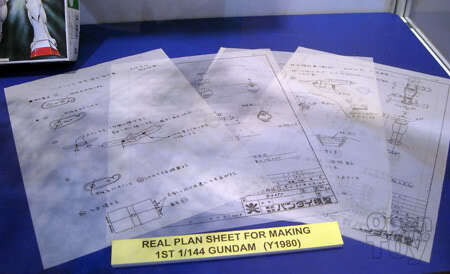 The process of making Gundam model kit. It all started out with a drawing plan. 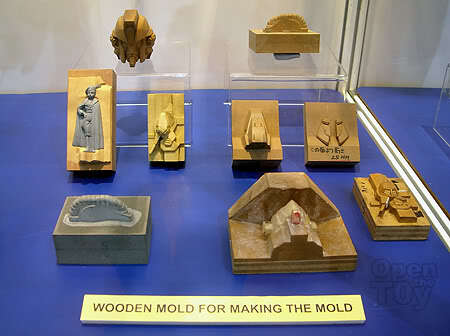 With that proceed to make wooden mold for the model. Pour plastic on the mold. 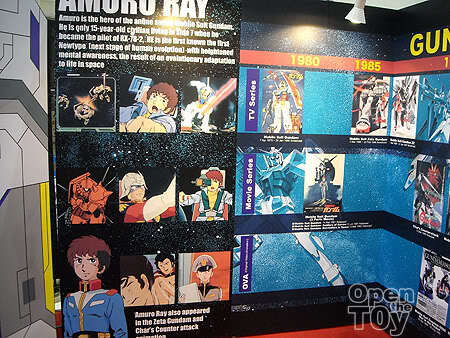 Do you know Bandai had created 370 millions set of Gunpla for the past 29 years? Above was the old ways of making a model kit. Here is the new way. Now they just need to produce it in 3D software that test the transformation and joints. It will then sent to "Eden", a laser prototype machine to start the creation. 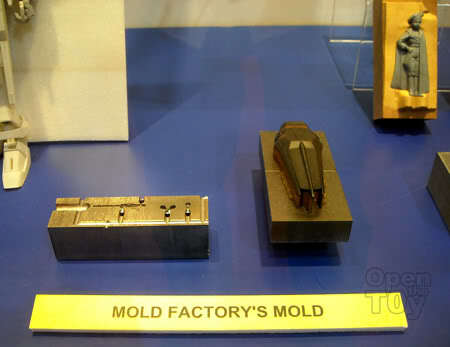 Mold will be created and injection of the plastic will begin and finally Quality control will be done on the mold. When all is fine, it goes to production. 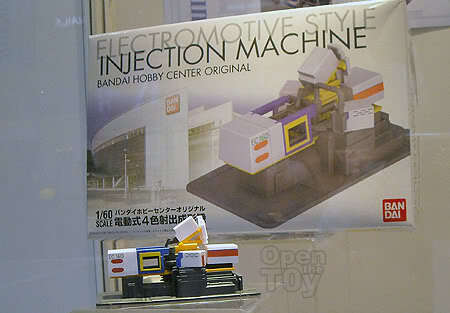 Here is the model kit of the Injection Machine which is a limited edition from Japan. 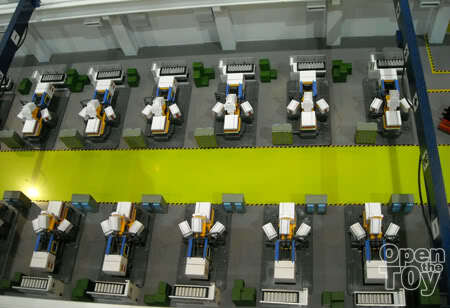 A model of the production line over at Bandai Japan. 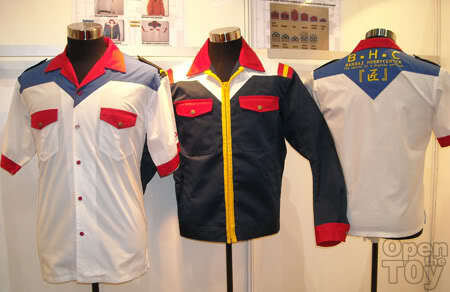 Ah some Cosplay Gundam Uniform!!! 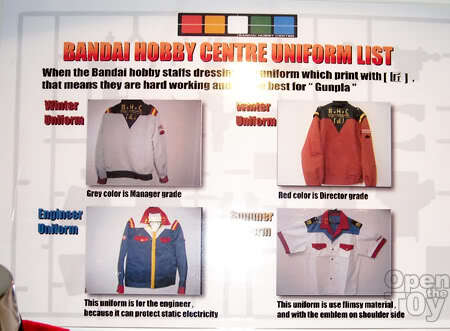 These are actually Bandai working uniform!!! They have winter and summer wear. Wait! 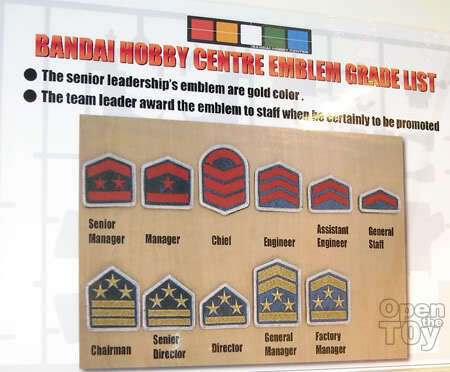 They have ranks too!! Want to find out more? Go to the Part 2!! Check out kodomut, Fortress of Testicular Fortitude and Collect’em All for more coverage too! Not sure if it's just me, but it looks like the event's pretty empty. 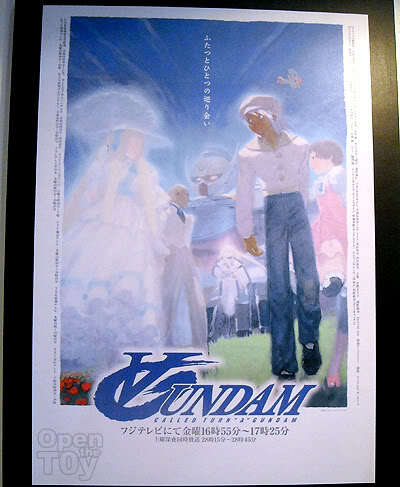 That's a Turn A Gundam, L. One of the series with the best ending compare to the others. In the game, his Butterfly energy burst is also one of the most damaging. Omygod, how I envy you. Now I feel like assassinating my participant. GDI. Thanks bro. Go down ASAP!! Cool event! Do you get to buy gundams there too? A speedy posting Leon! 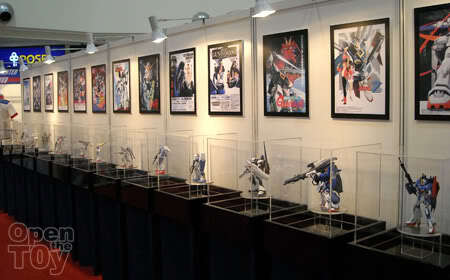 Thank you for filling in the tools of Gunpla production. you are welcome Dennis. :) Love your coverage too!